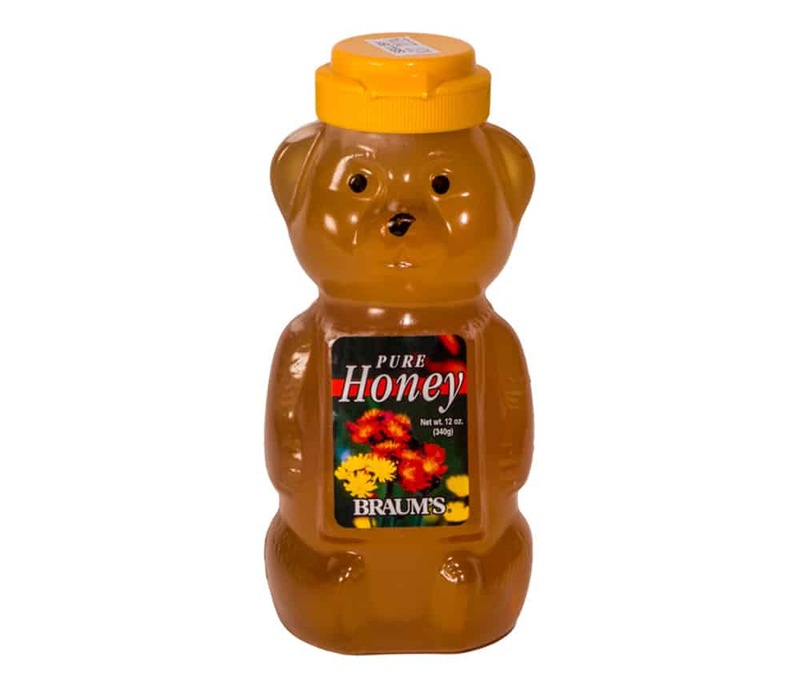 Braum’s 100% pure HONEY is a totally ‘domestic’ honey, made from clover/alfalfa right here in the USA. A clear golden amber color, it’s the very best honey you can buy. Honey is an all natural sweetener & has long been used as natures remedy. Bees filter out environmental toxins & honey is used for its healing properties. Our honey was selected after a great deal of research so we could offer our customers the very best product.